Railway Minister Piyush Goyal receives flak on the internet after he posted a doctored video of the Vande Bharat express on social media. 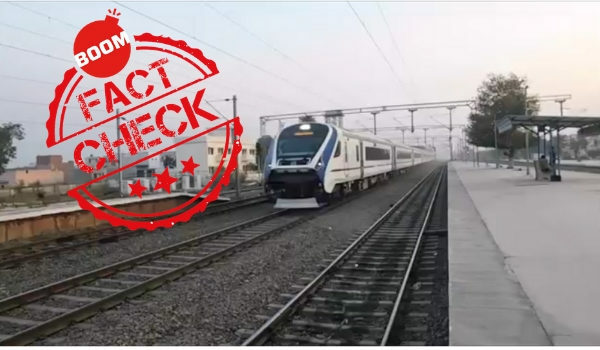 Just days before the launch of India’s first engine-less semi-high speed train, the Vande Bharat Express, Piyush Goyal posted a video of the train in action on Twitter and Facebook. It’s a bird…It’s a plane…Watch India’s first semi-high speed train built under ‘Make in India’ initiative, Vande Bharat Express zooming past at lightning speed. Republic TV also wrote an article based on Goyal’s video, claiming that the Railway Minister is giving us a glimpse of what to expect from the train in terms of its speed. However, as fast as the train is, the speed of the train in Goyal’s video is a little too impressive to be true. 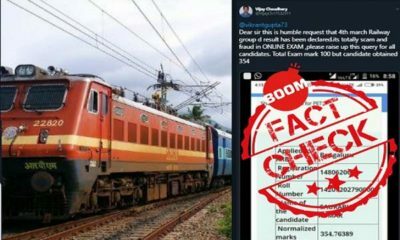 A user by the name of Abhishek Jaiswal responded to Goyal’s tweet, claiming that the Railway Minister’s official Twitter handle not only plagiarised a video he had posted earlier, but also increased its speed using editing tools to make the train look faster. Another user, going by the name Rf AJ on Facebook, also commented on Goyal’s Facebook post with the same claim. By comparing the publicly available photos posted by the Facebook user Rf AJ with the profile photo of the Twitter user Abhishek Jaiswal, we were able to determine that it is the same person. The Youtube video provided by Jaiswal dates back to December 20, 2018, posted by a YouTube channel called “The Rail Mail”. The page is run by train enthusiasts who are described as ‘train spotters’ – who takes videos of trains and posts them on the channel. 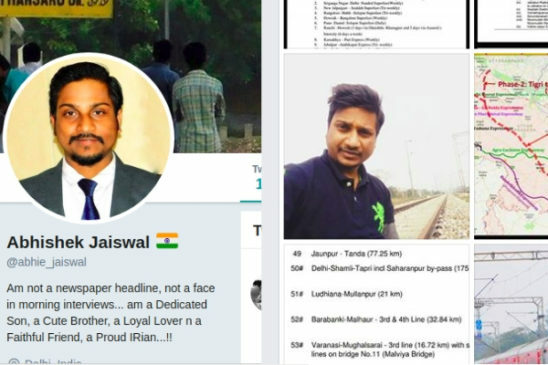 The Youtube Channel also has a Facebook page called “Indian Rail Mail” and is run by none other than the user Rf AJ – or Abhishek Jaiswal – thus ascertaining that Jaiswal is indeed the original poster of the video. 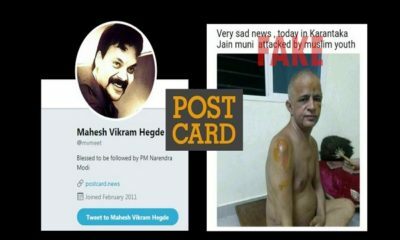 A user posted Goyal’s video alongside Jaiswal’s to show the similarities between the two and also expose the doctoring done on Goyal’s video. 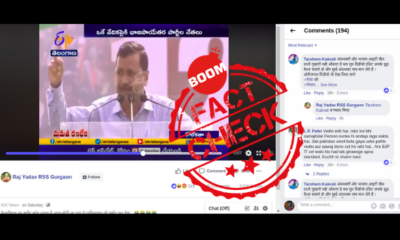 BOOM found out that the Railway Minister was not the first one to post this doctored video – in fact, it has been doing the rounds of the internet for the last two weeks. It would seem that those handling the Railway Minister’s official Twitter handle did not care to verify the authenticity of the video, nor did they care to give credits for the video to the person who took it, before posting it on social media. 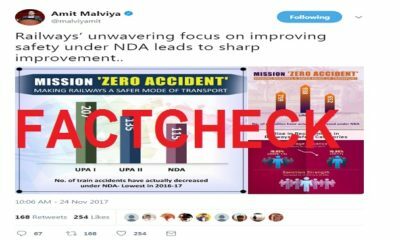 As soon as the word got out, Goyal received flak by users on social media who reprimanded him for his misleading and plagiarised post in their own humorous ways. Vande Bharat Express, which shall be inaugurated on February 15, has an operating speed of 160 km/h, making it one of the fastest trains in India. However, it may not be able to operate at such high speed as there have been reports that we do not have adequate railway tracks to support such speed.